The roar created by an erupting volcano is the result of turbulence and friction created by hot gases accelerating upward through conduits and finally escaping through the volcanic vent at the surface. These hot gases contain magma fragments, ash and other particles that travel violently through the inner walls of the vent conduits. Scientists have measured the low frequency (<20Hz) infrasonic signals created by these gas jets and when sped up to the range of human hearing, these signals sound remarkably like the frequency distribution of sound coming from a Boeing 747 jumbo jet. 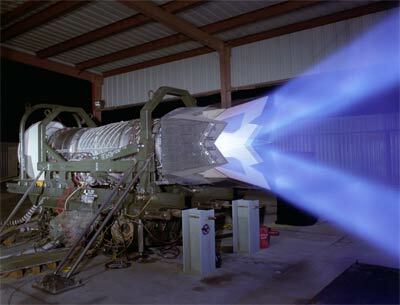 “The science of jet noise is very well understood. If we can understand how this works for volcanoes, we may be able to infer properties of eruption columns,” says Robin Matoza a scientist studying infrasound of volcanoes from University of California San Diego. 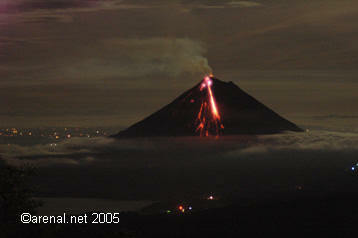 These impulsive, broad frequency band acoustic signals are the highest amplitude or loudest sounds created by volcanoes. Consequentially, these loud booms and cracks travel the furthest and are capable of doing the most damage from concussive blasts causing hearing injury and breaking glass. Furthermore, the infrasonic energy from these blasts can travel across ocean basins being recorded by pressure recorders thousands of kilometers away. Below is a movie of volcanic explosions from the erupting seafloor volcano NW Rota1 in the Mariannas Arc. The shock waves are visible and are accompanied by explosive blast sounds in the audio link from a hydrophone 20m away. This erutpion is occurring under 500m of seawater adding to the confining pressure at the vent, and still large blocks and huge bubbles are bursting as they are expelled from the vent (courtesy of the NOAA Vents Program and Woods Hole Oceanographic Institution). Click this link to hear the sound recordings from a hydrophone located near the Brimstone Pit Vent at NW Rota Volcano.